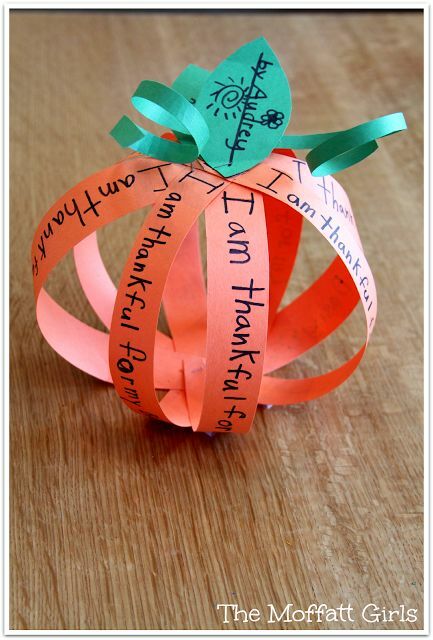 Fun for Fall: Write on a Pumpkin! I started by bringing my pumpkin in a bag and having the students guess what it was. I wrote sentence frames for my lower proficiency students so they could easily say, "I guess there is a ___________ in the bag." 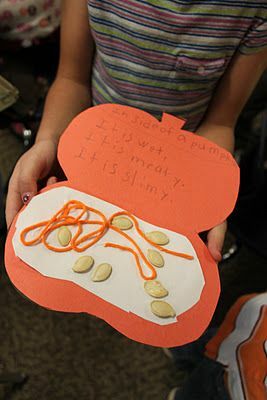 Next we guessed how much the pumpkin weighed using the same sentence frames, and I started the story with that sentence. "Mrs. M-C picked a pumpkin that weighs 9 lbs." 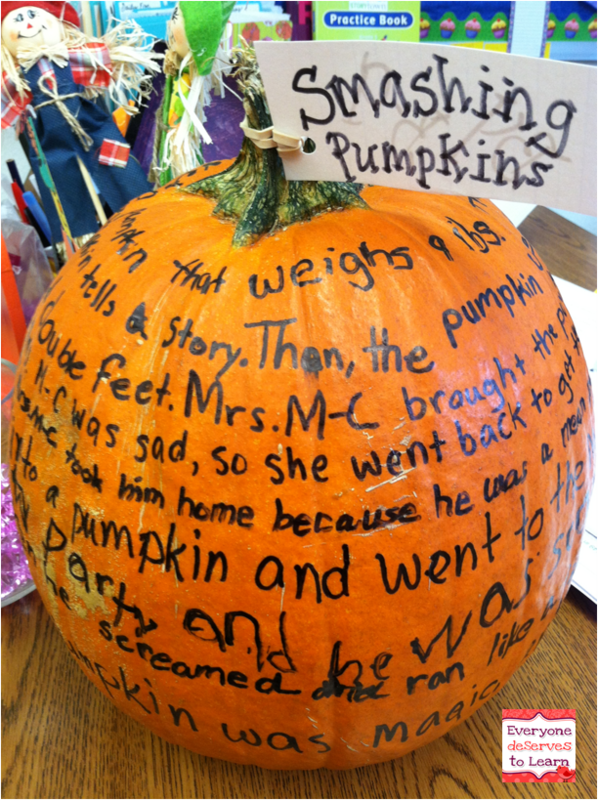 We passed (rolled) the pumpkin around the carpet, and everyone added one or two sentences to the story. Of course, our story took a rather strange turn, but once everyone had dictated their portion of the story, they read it back to me from the chart. That is the basic tenet of LEA- "what you say, you can read." It's a great ELL strategy, because it proves to struggling students that they can read, and that gives them so much confidence to keep going. The cool (and unexpected) thing about using a pumpkin as a vehicle for our story was the motor development practice it gave them. It's hard to write on a pumpkin! I traced a straight line with chalk for some of my students who really needed help, but I think they did a pretty good job with their handwriting, bumps and lumps and all! They were so proud of their pumpkin, and it sat on my desk practically until Christmas. I tried something new with my second graders and gave them each individual pumpkins. The pumpkins were only $1 each at the grocery store, and I have a small class, so it was budget friendly. When I planned a school-wide pumpkin decorating contest, I asked our PTA to sponsor some, as well as had pumpkins donated by a nearby nursery. 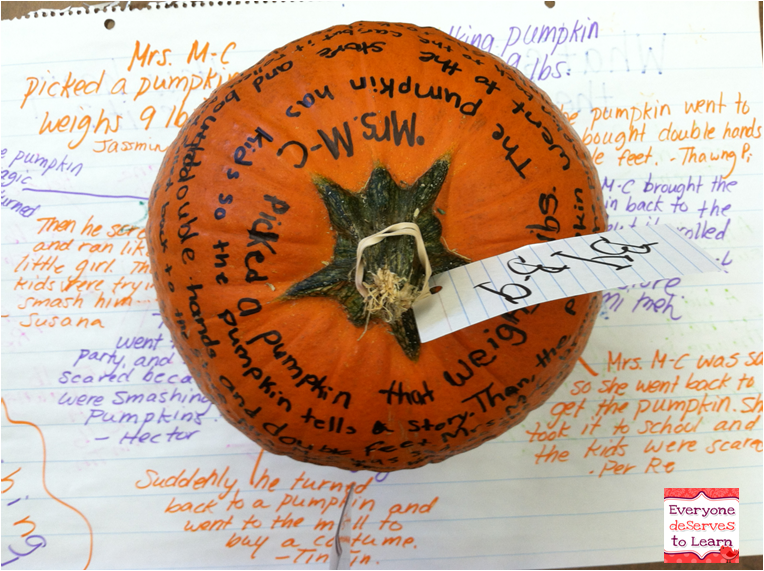 I treated this like a typical writing lesson: brainstorm, make a web or outline, write a first draft, and then write their final draft on the pumpkin itself. They LOVED it! And what a great display for fall in my classroom. 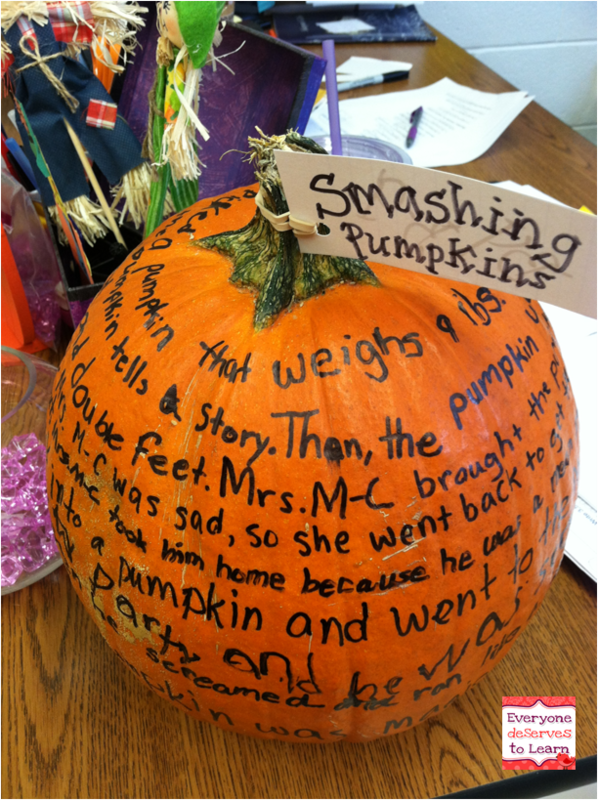 Here are some other pumpkin writing ideas I love! 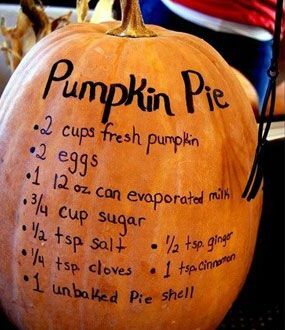 Let me know if you plan to write on a pumpkin this fall- I'd love to see the results! Happy fall, friends! For more great writing ideas, check out my pinterest board! Follow Everyone Deserves to Learn's board ESL Writing on Pinterest. Brand new pencils, unbroken crayons, and fresh clean notebooks signal the beginning of a new school year. 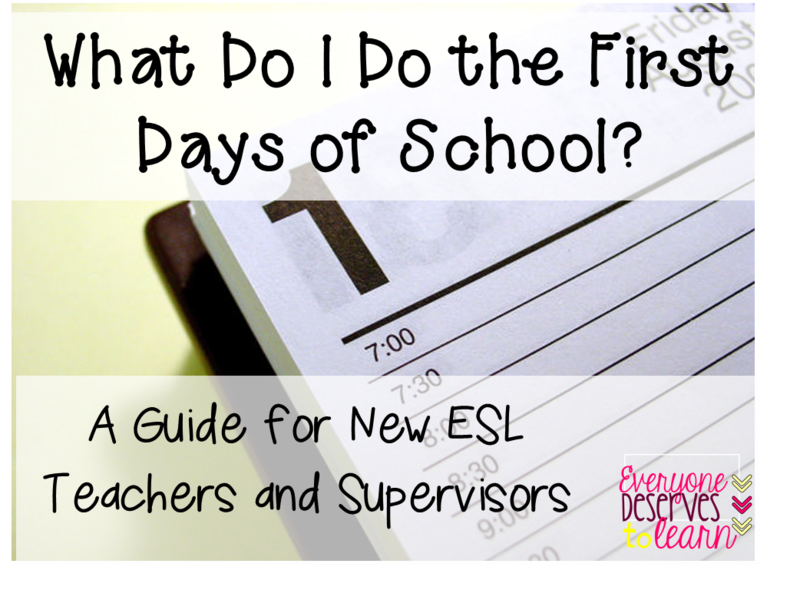 But if you're in a new position, all you may be thinking is, "What do I do first?" In this second installment of my "What to Do" series, I'll help you answer the question: "What do I do next?" If you missed Part 1, click here to read it! By now you've identified existing and potential English Language Learners and tested them for eligibility. You may be working on parent notification letters, which will need to be sent home. Once you've created a list of students in the program for this year, here are your next steps. Step 6: Organize your student information. If you're familiar with Microsoft Excel, now is a great time to put those skills to use! I create a simple spreadsheet with name, grade, home language, homeroom teacher, and proficiency level as my column headers, then fill in all the students I need to service in the following rows. If Excel makes you shiver, know that creating a table in Word or Powerpoint will give you the same results. Now, in the same document or a new one, keep a list of the students who have recently exited the program. Keeping tabs on exited students is not easy to do, but it is a requirement in many states. In Excel, I create a new sheet titled "recent exits" and set up the same table as mentioned above, with the addition of their exit date. Tip: Be aware of the date your state requires enrollment information from the school. In New Jersey, it is October 15th. All eligible students need to be inputted into our data system by that date, or we won't receive Title III funding for them. So get that information in order as quick as possible! This may have already been done for you by your administration, but if yours is still up in the air, you'll want to sit with the master schedule and plan out your intervention time. Share that with the teachers you'll be working with so they know when to expect you to push-in or pull-out. Working with classroom teachers is an integral part of being a push-in or pull-out teacher. The best tip I have is to be as open and approachable as possible. 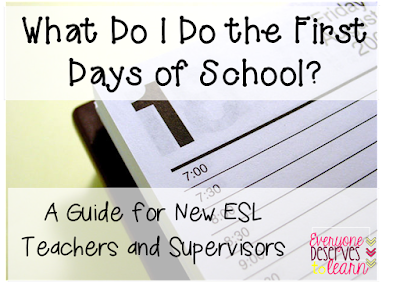 Set up a meeting early on in the year to discuss strategies for differentiation and the needs of the ELL's. But don't expect it to be a one-and-done type of thing- constant communication is the best way to go. Below are three documents I send to our teachers at the beginning of each school year. The first two are Can-Do Descriptors, which tell you what a student can be expected to do in content areas at a certain proficiency level. The official ones from WIDA are pretty wordy and monotonous, so I use these instead. Same information, more user-friendly! This modification plan is something we've recently started sending. It's in a checklist format, so you can fill out the sheet as pertains to each student. You've got your students listed, your schedule made, and your collaboration started. Now it's time to get down to business! Here are some posts that may help you as you work with your students. I hope this has been helpful and informational! Are there any steps I'm missing, or things you do differently? I love to hear how other schools work with their ELL's. Let me know by leaving a comment!